Motorola announced new Android One smartphone, Motorola One Power today (24th Sept) in India. 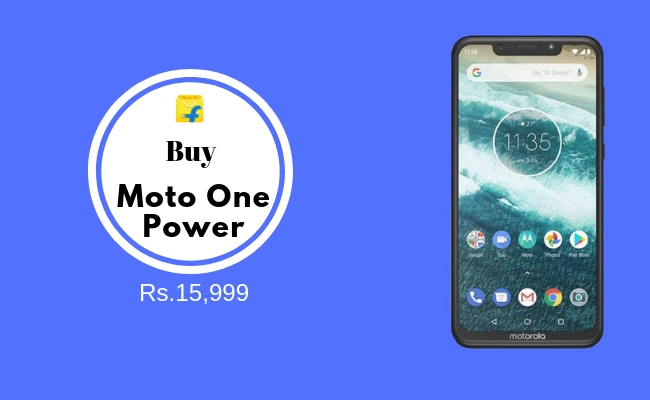 Buy Motorola One Power at Just Rs. 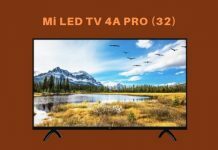 15,999 exclusively available on Flipkart. 2. Visit Motorola One Power sale page. 3. Add product to the cart. The Motorola One Power features 6.2-inch 19:9 aspect ratio Full HD+ display with a notch and 81% screen-to-body ratio, has dual rear cameras and a rear-mounted fingerprint sensor with a Motorola logo. 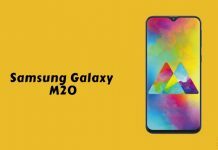 It runs Android 8.0 (Oreo) and the company has promised Android 9.0 (Pie) update as well as Android Q update for the phone, as well as security updates for three years from the initial global launch date. It also has support for Widevine Level 1 DRM so that you can stream Netflix and Amazon Video in HD resolution. Even though this is an Android One smartphone, this comes with three Motorola experiences including twist the phone to launch the camera and shake to launch the flash. 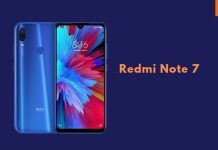 The phone packs a 5000mAh battery that promises up to 2 days of battery life and comes bundled with 15W charger that will offer up to 6 hours of power in 15 minutes of charging. The Motorola One Power comes in Black color, is priced at Rs. 15,999 and will be available exclusively from Flipkart starting from October 5th. It also comes bundled with a clear protective case in the box.